Returning for their second-straight Super Bowl appearance, the Buffalo Bills would be facing off against the Washington Redskins in Super Bowl XXVI. Played in front of 63,130 fans at the Hubert H. Humphrey Metrodome in Minneapolis, Minnesota, the Redskins would defeat the Bills by a score of 37-24, claiming the Super Bowl XXVI Lombardi Trophy. The Redskins and Bills had both just finished an exceptional season. Early on in the third quarter of the Super Bowl, the Redskins took an impressive 24-0 lead. Of course the Buffalo Bills couldn’t gain traction, which resulted in them losing the game. The MVP of Super Bowl XXVI was Mark Rypien, quarterback for the Redskins, completing a total of 18 out of 33 passes for 292 yards, which resulted in two touchdowns. The game was televised on the CBS network and had a total of 79.6 million viewers. 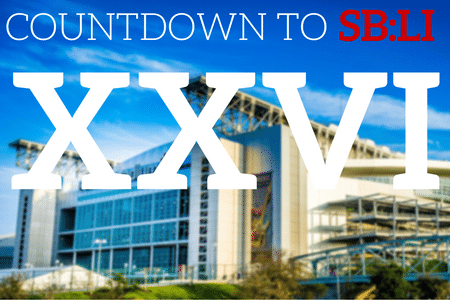 The cost of a 30 second commercial during Super Bowl XXVI was $850,000. This was by far the most expensive cost of a commercial to date. Pat Summerall and John Madden were both announcers at Super Bowl XXVI.